Pat is a long-term survivor of Metastatic Carcinoid Cancer since diagnosis in 2002. After extensive surgery to the midgut and liver, she has remained stable for many years with Sandostatin LAR. 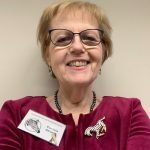 The Connecticut Carcinoid Initiative (“CCI”) was started in 2002 by the late Robert Getman who had the vision of making the medical community aware of carcinoid cancer and thereby, making earlier diagnosis more likely. The other main purpose of CCI was to offer education and emotional support to patients and caregivers. Pat joined the group in 2003 and has been the Group Leader since 2008. There have been many members over the years who have participated in the group. New members join as more people are diagnosed and find our group through the internet. 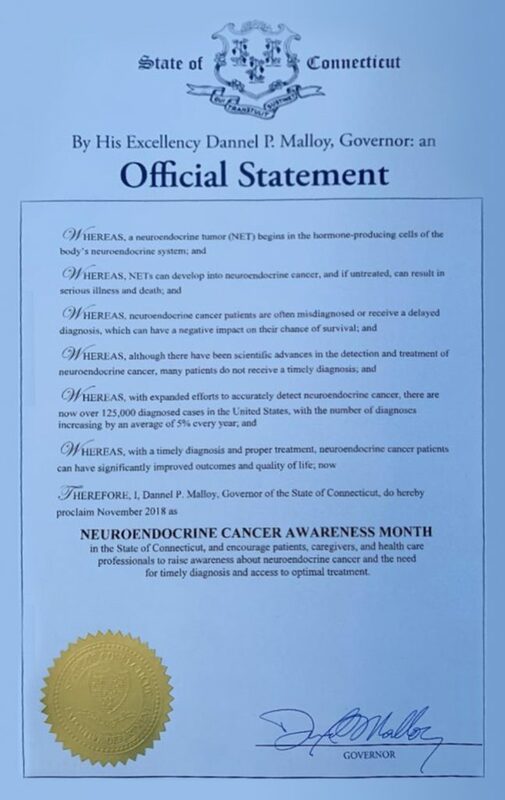 Pat has attended many of the national conferences and some of the regional conferences and brings back information to share with members on the latest treatments for neuroendocrine tumors. CCI has joined as a Chapter with NCAN which will create more strength through learning from the wisdom of all groups. Pat is a retired attorney who lives in the Hartford area and enjoys traveling with her husband and friends. CCI meets five times per year. In 2019, we meet on January 13, March 10, May 19, September 15 and November 17. Please check with me before hand, or join our group and receive email updates. Currently we have 55 patients with NET cancers and 25 caregivers in the group. Some are regular participants in meetings and others attend once in a while. Some are on the list primarily to get information Pat emails to the group. Usually, we have 8-10 members at a meeting. We had speakers last fall from Entrinsic Health Solutions (“Enterade”) and Advanced Accelerator Applications (PRRT). Thanks to Bob and Maryann for arranging these speakers. 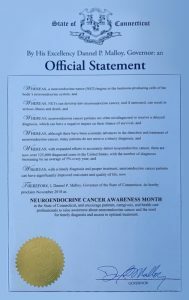 Each year we ask our Governor to issue a Proclamation for Neuroendocrine Cancer Awareness Month in November. The above is Connecticut’s 2018 Official Statement of Governor Malloy.